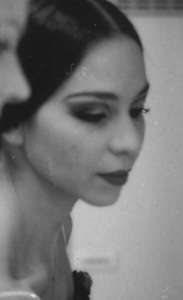 Ballet has been a part of my life for as long as I can remember. I began when I was 3 years old. The typical skipping around the cold church hall imagining I was a fairy flitting around the enchanted wood, my arms as delicate as a butterfly’s. Skip forward 10 years and I am in a sweaty ballet studio, surrounded by girls all dressed in the same blue leotard, pink ankle socks and ballet shoes, our hair in identical buns, staring at ourselves in the mirror, trying to shape our arms and legs to be perfectly in unison with our neighbour. Skip forward another 10 years and I am on the stage, lights blinding us from the wings, surrounded by girls in identical costumes, this time not fairies but swans. The white body makeup running down our perfectly sculpted bodies, the sweat stinging our eyes, the cramp and pain in our legs and feet almost unbearable. But soon the performance will be over. The pain forgotten. The next day’s rehearsals and roles already beginning to overtake our thoughts. Being a ballet dancer isn’t just a job. It is our way of life. It stems from a passion that is hard to explain and engulfs our entire being. But being inside this ballet bubble we are protected. We know what the person next to us is thinking. We have the same goal and ideal. So when we hear the typical ballet stereotypes, we laugh and role our eyes, as, even though some are a little bit true, others are way off the mark. Every job and career has it’s stereotypes, and they are there for a reason, but often stereotypes can be so wrong, and sometimes harmful to a profession. 1. Ballet is easy! How hard can prancing around be? I’ve actually had someone say this to me before! Ballet is a full body workout. We are athletes in peak physical condition. We are artists. Our bodies are our instruments. We can portray an entire story through movement. It is not dancing in a nightclub! Though that is fun too. The years of physicality take their toll, but I still believe ballet and barre based exercise is THE best all round body workout. 2. Ballet dancers are airheads who can’t do ‘regular’ jobs. When people have discovered what I do, I’ve had so many ask “So what’s your day job?” Being a professional ballet dancer is a full-time job. The discipline and determination (not to mention the need to learn and retain new things quickly) are important skills that translate to everyday life. 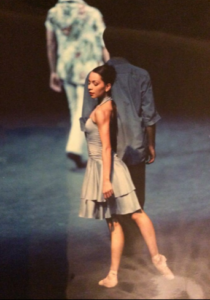 Ballet dancers have gone onto become lawyers, doctors and even CEO’s of large companies. We are taught at a young age to respect our peers and work well together. Imagine the teamwork it takes to have 32 swans doing exactly the same thing, at exactly the same time, night after night. These skills are highly sought after in any walk of life. 3. I’m too old to start ballet. Of course if you’re planning on becoming a professional ballerina then you may have missed that particular boat, but ballet can be, and is, for everyone. It has been scientifically proven that dancing makes you happy and is the best form of exercise to slow down the ageing process. The sequences we learn help us increase our memorising capacity and prevent memory loss. There are studies linking dance to the easing of the symptoms of Parkinson’s (studies being undertaken by fully qualified scientists who just happen to be former professional ballet dancers!) Need any more convincing? There are all different types of male dancers. Ballet, Tango, Salsa to name a few. Who else picks up the lady to make her fly effortlessly and gracefully through the air and presents his partner to show her off to her best? Male dancers are strong, lean and muscular. Male ballet dancers, or their official title of Cavaliers, have to be just that: A cavalier. But that doesn’t mean they don’t get to portray some of the bad and more juicy roles. Ballet exercises are now part of rugby and football players’ daily warm up and strengthening regimes. 5. All ballet dancers are anorexic. The average professional ballet dancer spends anywhere between five to twelve hours a day dancing their pert little bottoms off. Imagine how slim you would be if you exercised that much! Ballet and barre focused exercise naturally creates longer, leaner lines in the body, unlike other athletic activities that can create bulkier muscles. Although they are slender, most ballet dancers are health conscious as they have to fuel their bodies for the tasks ahead. Carbohydrates a few hours before a performance are key to getting through an entire 3 act ballet. It’s hard to be light on your feet with a full belly. But a cheeky little sugar boost is not unheard of. So, even if you’ve done ballet since you were a toddler and want to work your core and find that inner fairy again, or you are thinking of taking that first step into the daunting but always welcoming and fun studio, be ready to be surprised. You’ll discover muscles you never knew you had (literally) and you’ll leave feeling 5 inches taller and ready to prance down the street like a gazelle. Sign up for our special Tribe event and hear Georgina talk about her ballet career highs and lows – and everything in-between. Come with any questions you may be dying to ask her! Saturday, 2nd June 4-5pm at Barreworks Studio. Book here. 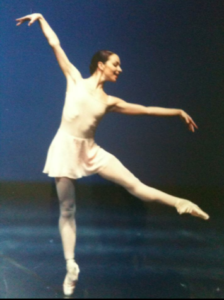 Join Georgina’s weekly Ballet workout on Fridays at 12.30pm. Book ahead to avoid disappointment!